Arboretum (from Latin) is a collection of trees, shrubs and ivies with specialists engaged in long-term studies on their growth, appropriatness to a specific climate, production and reproduction of seeds. The establishment of the LVM Kalsnava Arboretum began in 1975 with the objective: to conduct scientific research in dendrology and forestry and plant foreign woody plants for propagating purposes. 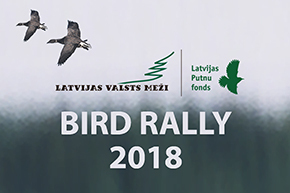 LVM Kalsnava Arboretum has been recognized as a specially protected natural territory to preserve the richest scientifically-documented plantation of woody plants in eastern Latvia (Regulations of the Cabinet of Ministers of the Republic of Latvia No. 131). The total area of the Kalsnava Arboretum occupies 143.96 hectares, of which tree and shrub stands take up 98 hectares. The arboretum features around 2,500 taxons (varieties), a total of 45,000 plants. Since 1981, LVM Kalsnava Arboretum has been participating in the international exchange of tree and shrub seeds. Since 1997, LVM Kalsnava Arboretum has been attending the conferences of the Nordic Association of Arboretums. The arboretum has also been a member of the Baltic Association of Botanical Gardens since 2011. Various rarities, such as the tulip tree (Liriodendron tulipifera), the white fringetree (Chionanthus virginicus) and the Kobushi Magnolia (Magnolia kobus) can alse be seen in Kalsnava. In 2006, the arboretum started to gather a collection of peonies, currently featuring more than 150 varieties. As of June 2012, this collection is among the largest ones in Latvia. Mondays to Fridays – 8.30 a.m. to 5 p.m.